Rosamond Thompson, born Florence Rosamond Marshall on January 24, 1917, passed away peacefully with her family on December 30, 2018, at the age of 101. Rosamond was one of seven children born to James Robert Marshall and his wife MayBelle Shaw, in Monroe, Iowa. Rosamond was a free spirit and came to California in 1940 to make a life for herself and pursue her love of flying. She did her first solo flight in 1941, two weeks prior to the attack on Pearl Harbor. 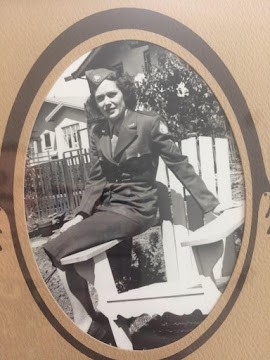 Rosamond then went to Nevada where she was able to complete her flight training, joining the Civil Air Patrol and the women pilots organization “Ninety-Nines” in 1949. Rosamond is preceded in death by her husband, Eugene Clifford Thompson, and her only child, Helen “Holly” May (Thompson) Polk. She is survived by her her son in law, Raymond Polk, her 3 grandchildren, Rene (Polk) Hohls, Shaanette (Polk) Frederiksen, and Ty Polk, and her 4 great-grandchildren, Lauren and Erich Hohls, McKenna Frederiksen and Andrew Polk. 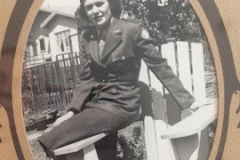 Interment for Rosamond, along with her daughter Helen, will take place Friday, June 28, 2019, at Cherokee Memorial Park in Lodi, California with a reception following. A gathering of family and friends to celebrate their lives will be held Friday, July 5, 2019, at her former residence in Cleone. What an amazing life she had. Thank you for trusting Johnson Funeral Home.